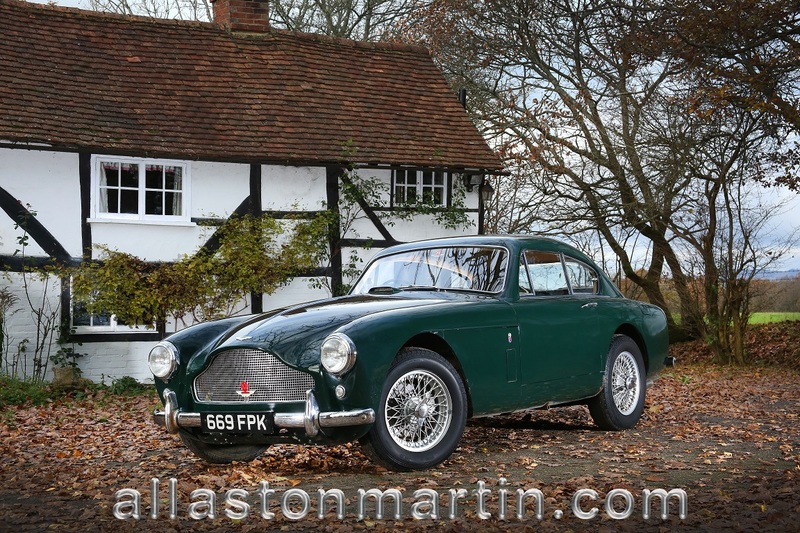 The final refinement of the cars based on Claude Hill’s design and the Lagonda six cylinder twin overhead camshaft engine, is the DB Mark III. Launched in March 1957 at the Geneva Motor Show, it was available for export only until the London Motor Show in October of the same year. 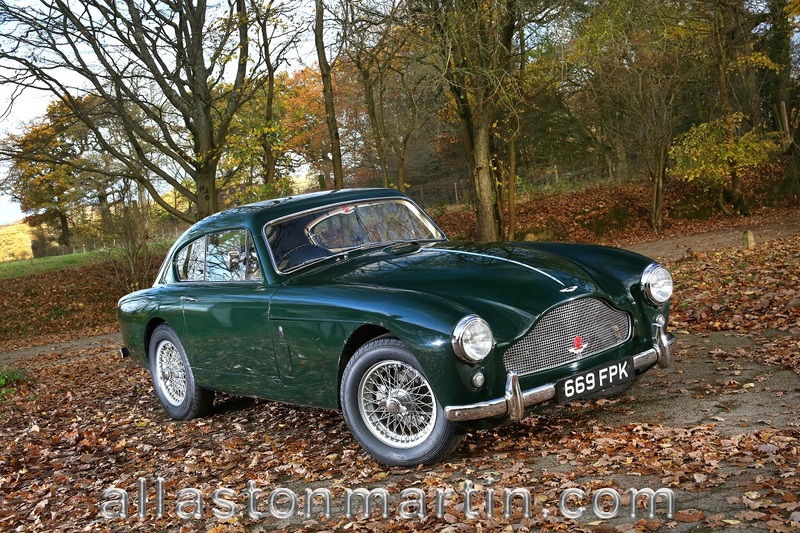 The model remained in production for about nine months after the DB4 was introduced. Of the 550 (approximately) cars produce over two thirds were exported to the U.S.A. The chassis specification was very similar to the DB2/4 MkII. 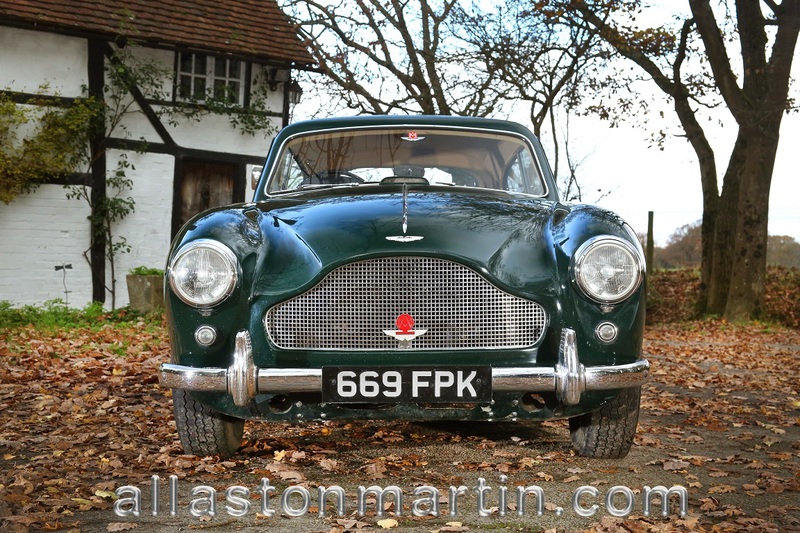 An option of Girling front disc brakes was available from the start of production but became a standard fitting after the first 100 cars were produced. 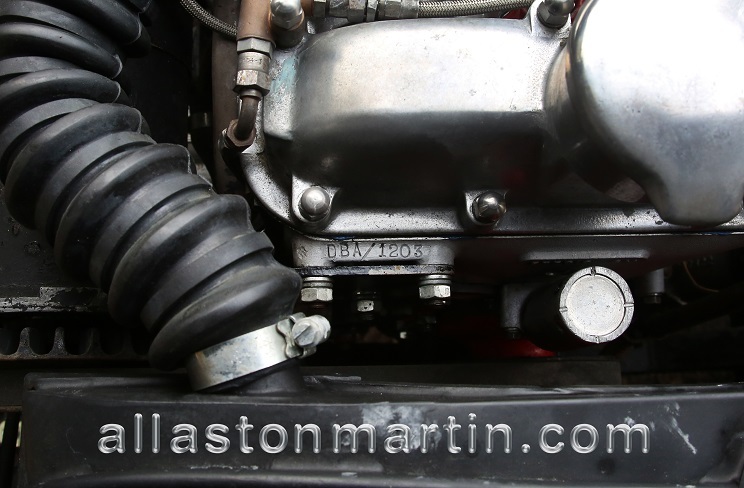 Tadek Marek, the gifted engineer who had recently joined Aston Martin and would go on to design the next generation 6 cylinder engines and then the V8, virtually re-designed the 3.0 litre engine. This included a new block (with top seating Liners), a stiffer crankcase, a new crankshaft, oil pump and timing chain. 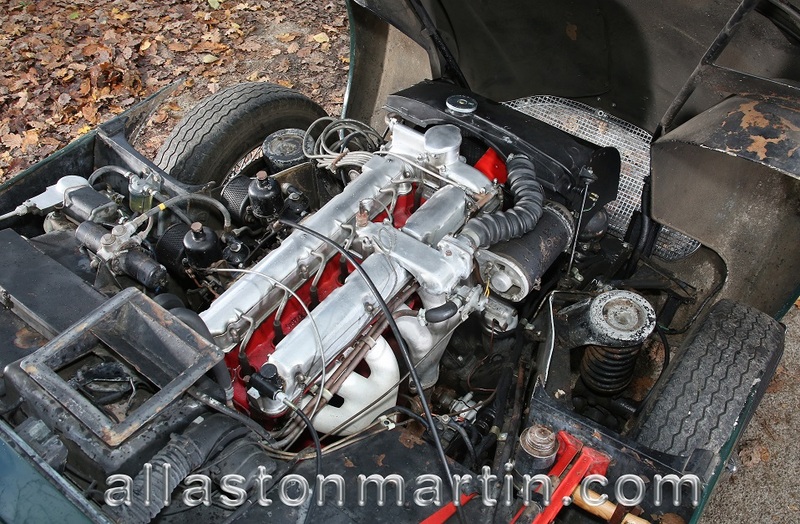 Performance was equally improved by re-designing the induction and exhaust manifolds, whilst the ports are based on the DB3S engine, with larger valves and high lift camshafts. 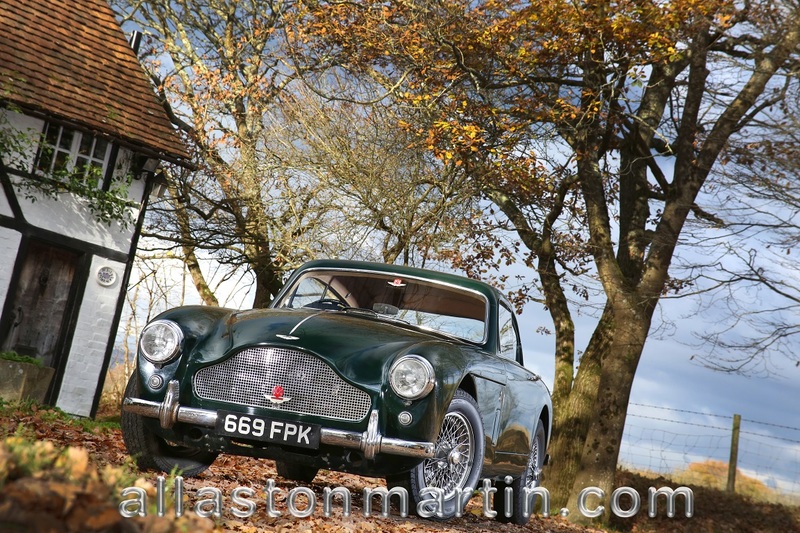 The majority of cars were fitted with the DBA engine, which was claimed to produce 162 b.h.p. at 5500 r.p.m., breathing though twin SU carburettors. 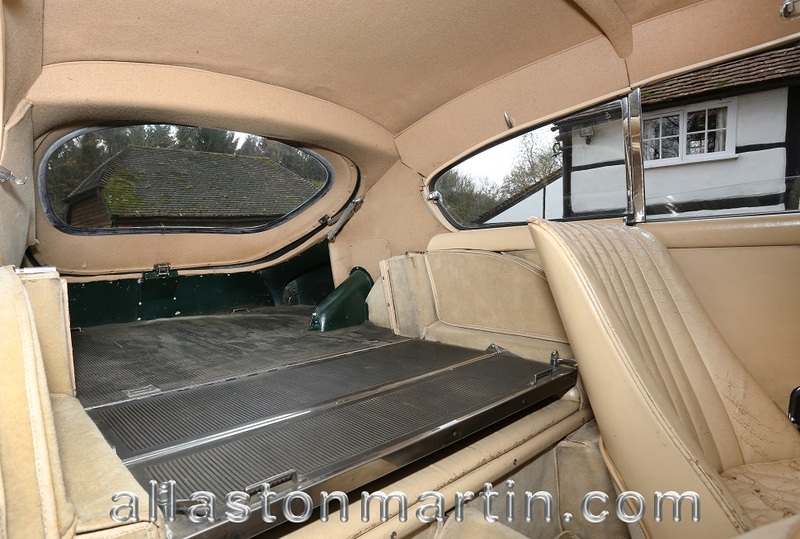 A few (47) cars were supplied with the uprated DBD specification enginewith triple SU carburettors giving an advertised 180 bhp. 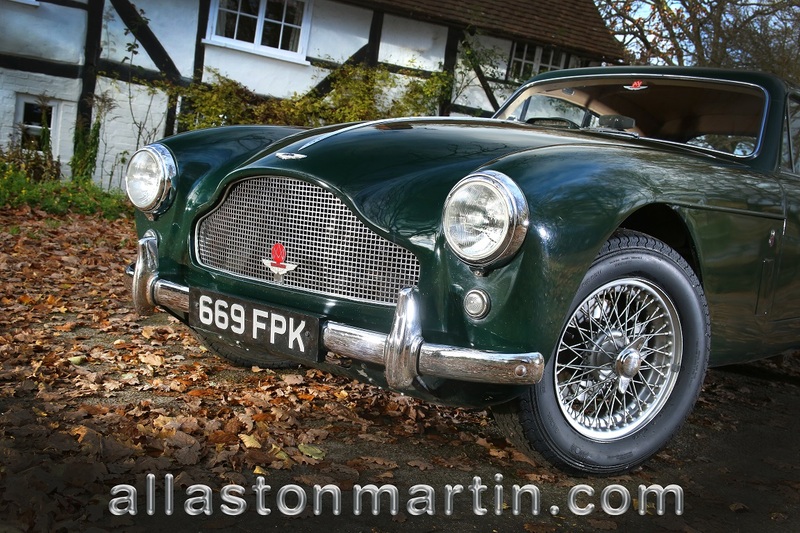 In appearance, the Mark III can be distinguished from the MkII at the front by the elegant shaped radiator opening adopted from the DB3S and consequently compound curves of the front of the bonnet, which can be traced on all subsequent models including the V8. 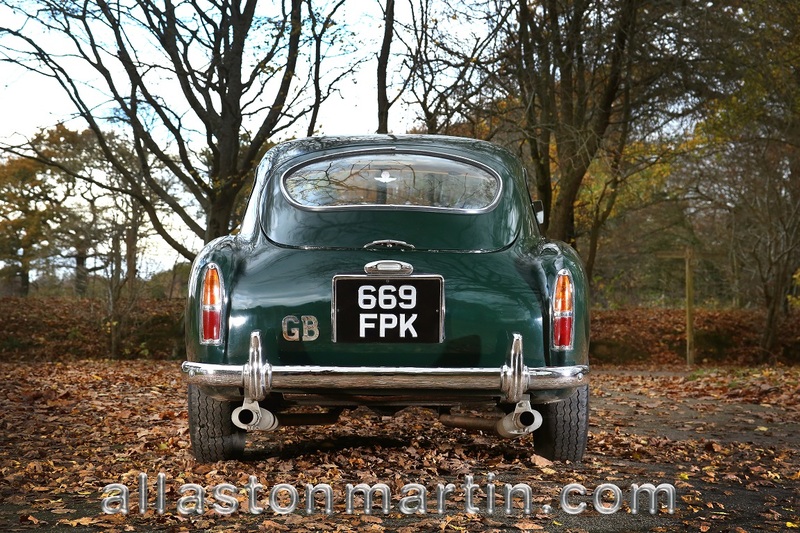 And from the rear by the cathedral rear lights which give the car a much cleaner appearance. Opening rear quarter light windows are also fitted. 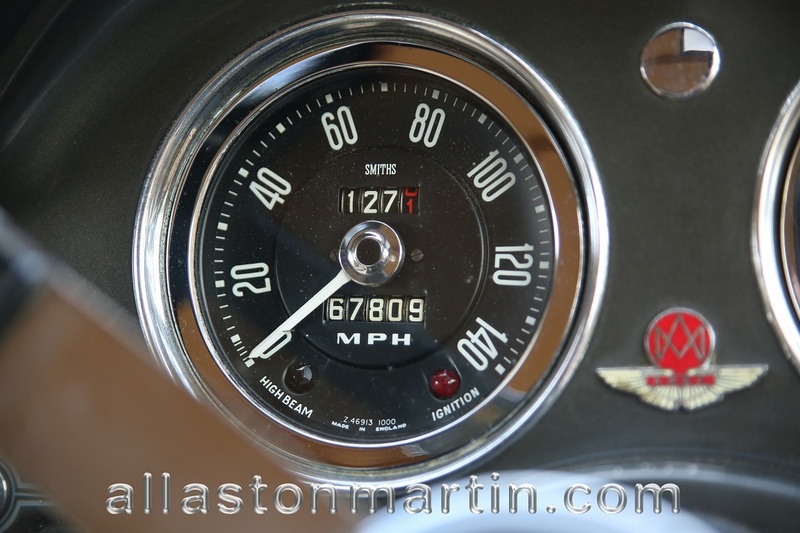 Internally, the facia and instrument panel are completely different, the latter remaining in use up to the DB6 MkII. 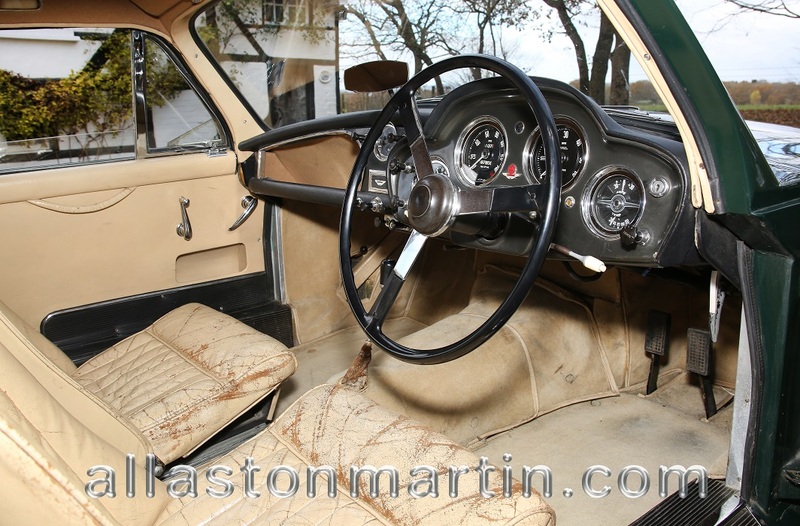 The standard transmission remained the same as the MkII, with overdrive as an option. 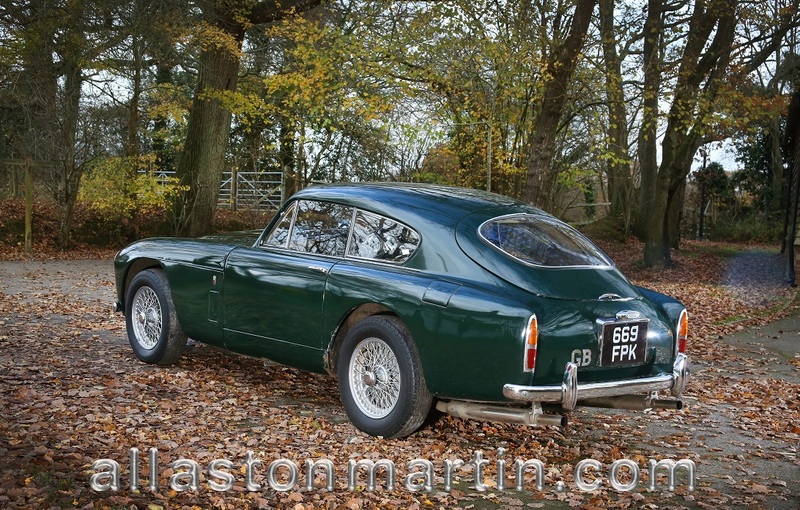 The Mark III is nearly 9” longer than the DB2 and weighs about 350 lb more, which is an increase of about 15%. 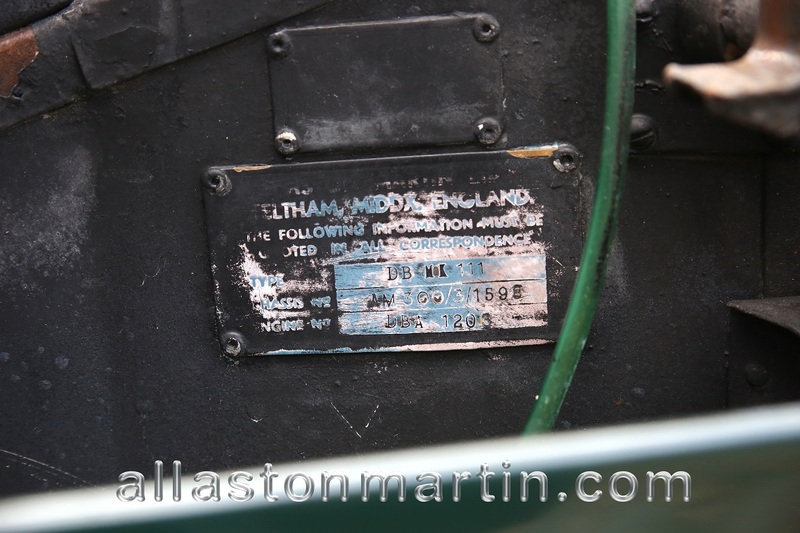 However, more than 50% more power is available from the standard DBA, compared to the original LB6B engine. 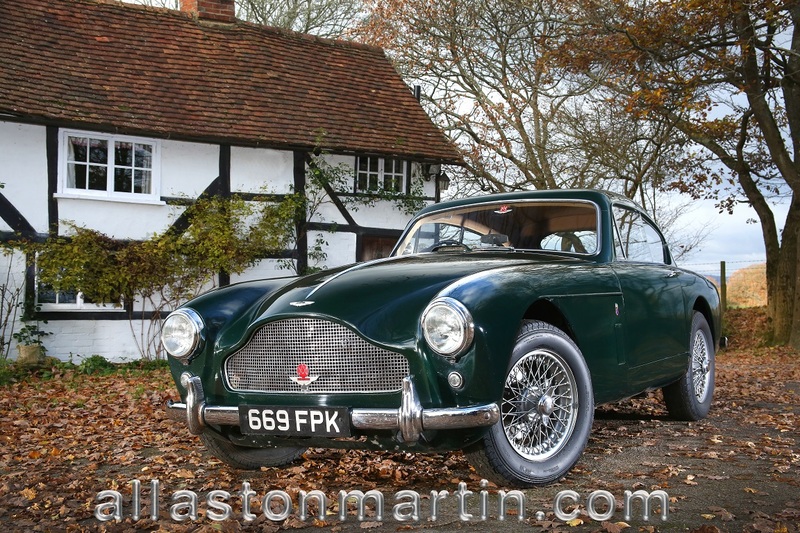 It was described by The Autocar (October 4th 1957), who recorded: 9.3 sec 0-60 m.p.h., 31.0 sec 0-100 m.p.h., 17.4 sec over a standing quarter mile and a maximum speed of 120 m.p.h. 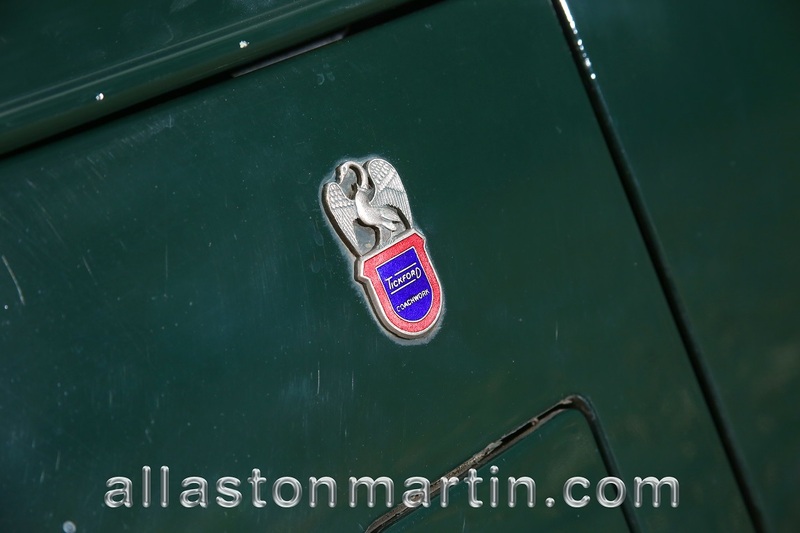 The Aston Martin DB Mark III is the final and best iteration of the David Brown designs that drove his Le Mans ambitions in the 1950’s. 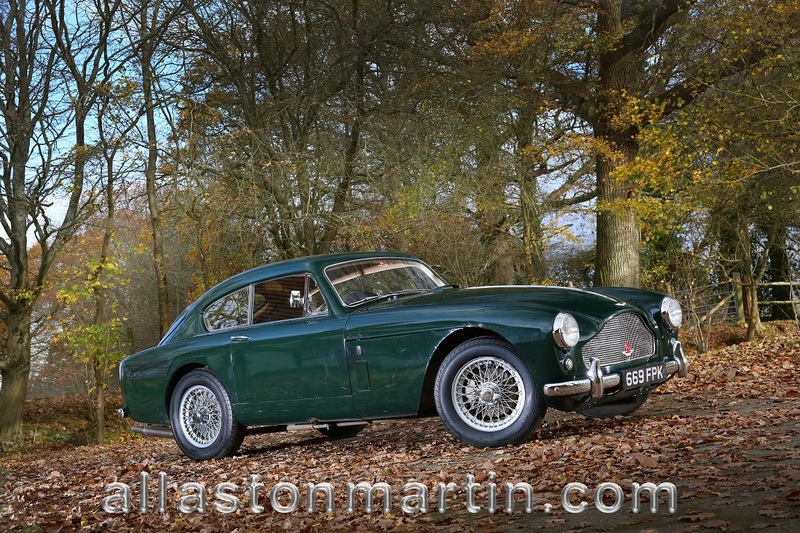 Remarkably modern in its concepts, the Mark III is a real enthusiasts car especially as it carries the marque heritage but not the premium pricing of her later cousins. 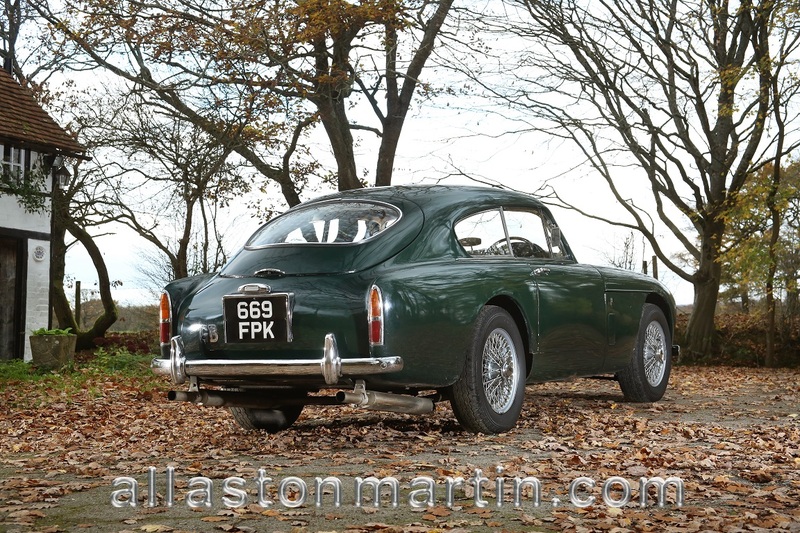 With provenance, ownership history and a wonderfully patinated condition, this is a car just waiting for the investment of an enthusiast to continue the story. 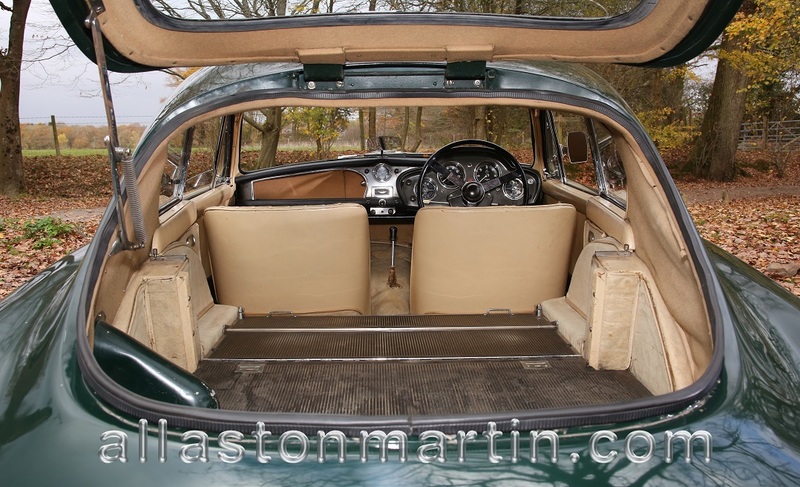 This lovely car’s history folder contains not only a copy of the original build sheet but also the original folding log book. 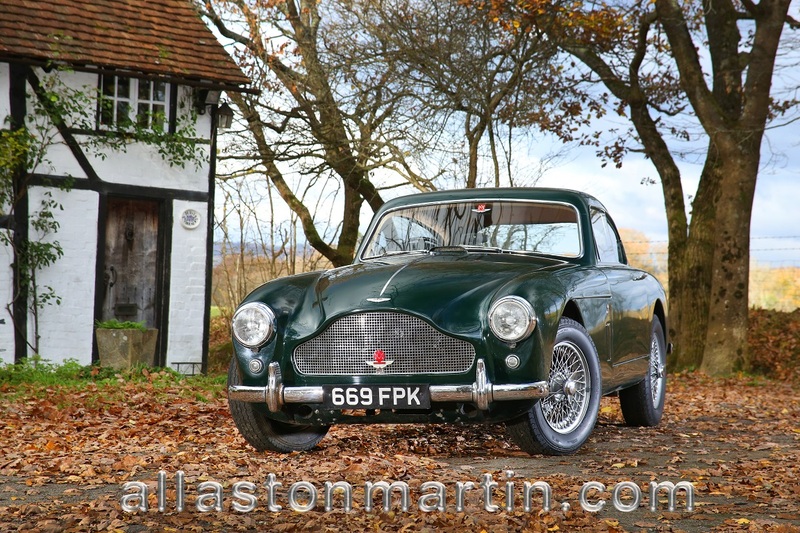 The Build Sheet shows that the supplying dealer was HWM of Walton on Thames and both documents concur that the original purchaser of the car was William Walter Andrews of Burgess Hill. Then delightfully the old log book is supported by another document, yellowed with age, that is a sales notification from Cheam Motor and Engineering Company in Surrey noting the sale of the car to its second owner, a resident in Cheam for the grand sum of £1,725 and the acceptance of a Sunbeam Rapier in exchange for £525. It is appropriate to maintain an anonymity of that owner – a fact that will be appreciated as the history unfolds. The car remained with the family until the owner’s sad demise and was sold in 1978 to a Mr I Mills of Maidstone in Kent. 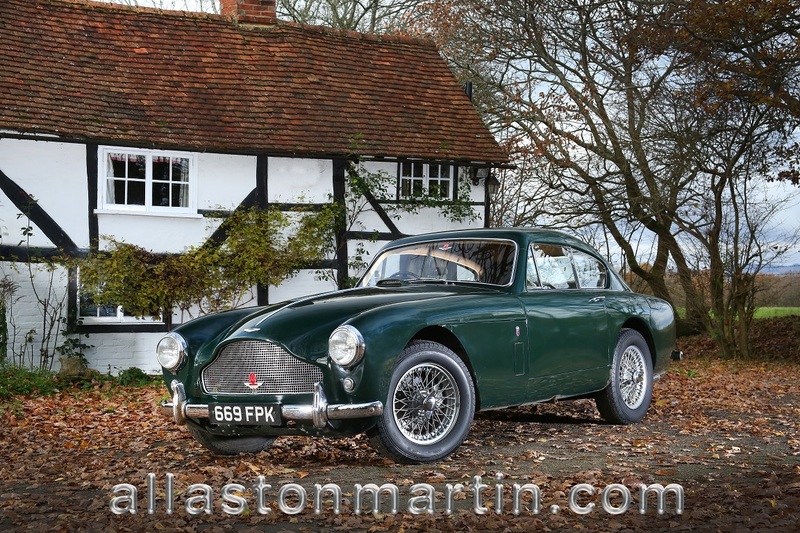 The car remained with him until July 1986 when it was sold to Mr Tim Grant of Faversham who in turn sold the car to a Ronald Coleman of Dorchester. When reading through the service history of the car, it can be noted that each of these owners, in turn, maintained the car, restored her bodily and, it appears regularly rebuilt the engine! Whichever way, the condition was maintained and toward the end of his ownership, Mr Coleman consigned the car for sale to the Unicorn Motor Company in Dorset. 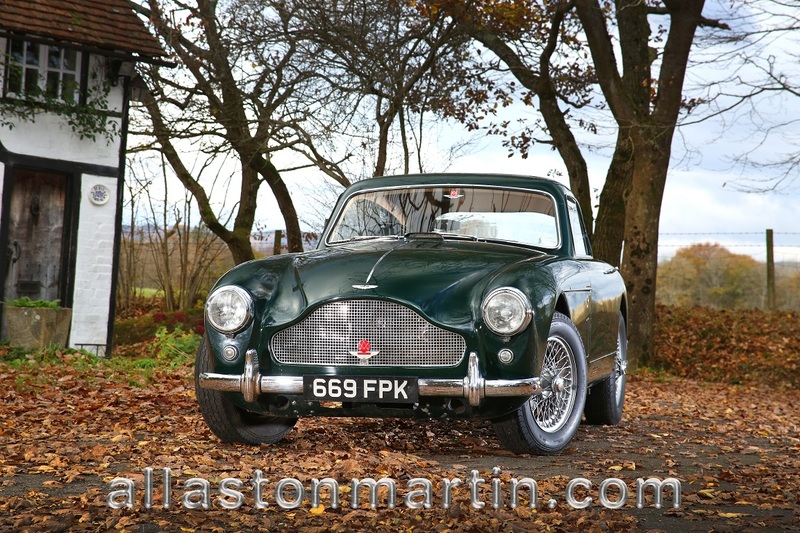 It was in a copy of the Automobile magazine in October 2002 that an enthusiastic collector of old English cars spotted Unicorn’s advert and recognised the Father’s old Aston Martin! 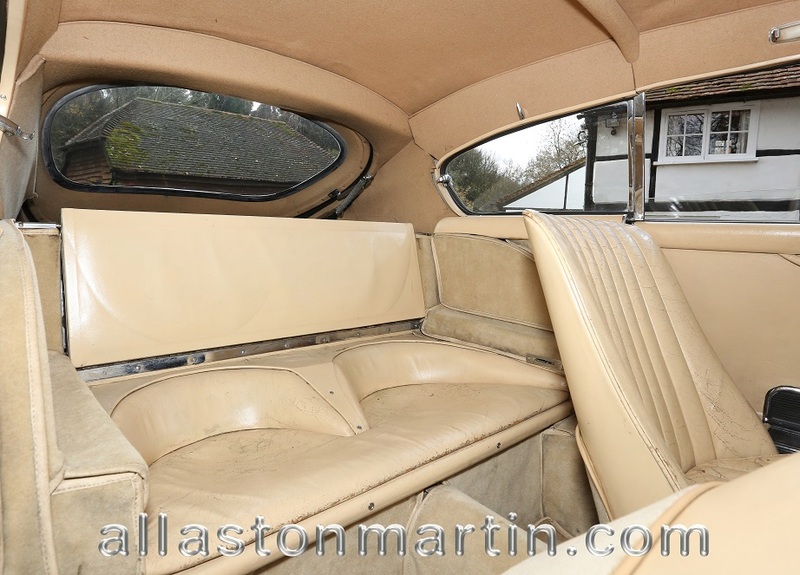 Buying the car has reunited her with that original family who first owned and cherished her in 1961 bringing a long a virtuous history full circle – sharing her garage with amongst other cars a pre-war Austin Hearse, she has been enthusiastically maintained but with expert early overhaul by marque specialists RS Williams. 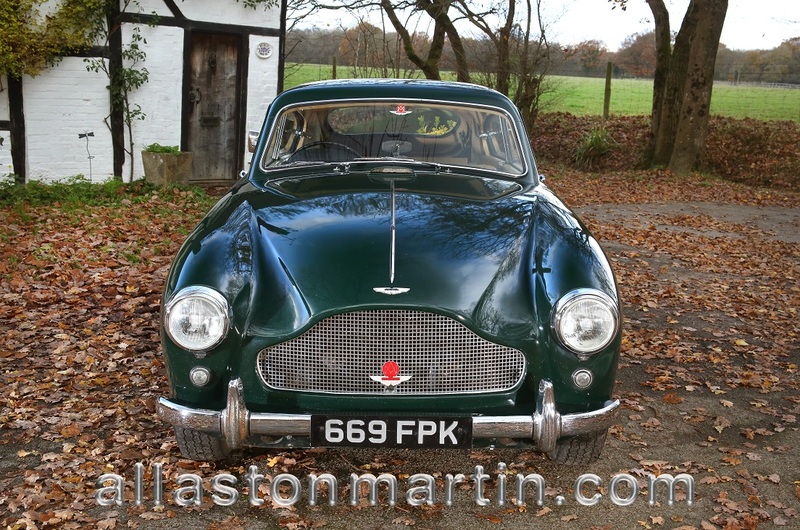 Remove bonnet, remove engine and gearbox, strip engine and clean all parts ordering replacement parts from Aston Service Dorset. Cylinder block, crankshaft, pistons and conrods to Sutton Rebore. Cylinder block machined and new liners fitted, machined top liners, new small end bushes fitted. Engine re-assembled with new parts, cylinder head worked with new valve guides, new inlet valves, ports polished and grinding to suit exhaust and inlet clearances. Adaptation to feed oil pressure direct to camshafts, rebuild engine and gearbox rand refit – repair starter motor circuitry. Check engine, remove carb dash pots, reset needles, clean carbs, adjust mixtures replace spark plugs, change oil and filter.